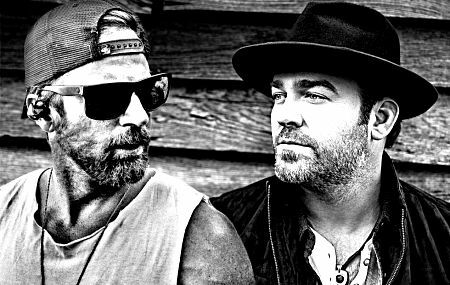 South Carolina star Lee Brice headlines Nu Country TV on Saturday February 17 at 9 pm on Channel 31/ Digital 44 on the eve of his latest Australian tour with Georgian Kip Moore. 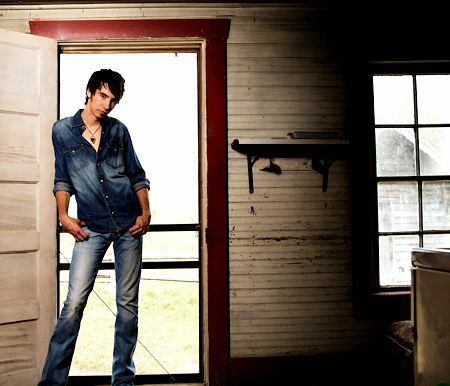 Illinois singer-songwriter Mo Pitney returns to the show repeated Monday at 3 pm and filmed and edited by Laith Graham. Grafton singer-songwriter Adam Eckersley and singing spouse Brooke McClymont debut as a duo on the program featuring Charters Towers farmer and farrier Tony Cook. The all-star Texan Red Dirt Choir praise Hurricane Harvey survivors and victims and chorister Kyle Park honours his oil field worker dad. Lee Brice acts out passion for small town romance in Rumour from his fourth album he showcases at the Way Out West festival at the Waltzing Matilda Centre in Winton with Georgian Kip Moore. They play the centre, rebuilt for $22 million after being destroyed in a 2015 fire, on April 20 before performing the Forum Theatre in Melbourne on April 25. Brice, now 38 and father of three, wrote 11 of 15 songs on his album including Rumor with Kyle Jacobs and Ashley Gorley. It features legendary guitarist Warren Haynes who worked with Allman Brothers, Grateful Dead and Gov't Mule on Story To Tell and I Don't Smoke . Brice credits musical hero, Edwin McCain, for Haynes playing on Story to Tell that he wrote with McCain and hit-maker Rob Hatch. Lee celebrated his wife Sara and two sons Takoda and Ryker Mobley in previous video for Boy two years after his first Australian tour. It's the first album Lee has released since 2016 disc A Little More Love - his duet with label mate Jerrod Niemann. His 2012 album Hard 2 Love was certified Gold and contained 2013 CMA Song of the Year, I Drive Your Truck. Lee released third album I Don't Dance in 2014. CLICK HERE for a Lee Brice interview in The Diary on May 30, 2010. Illinois singer-songwriter Mo Pitney returns with new single Clean Up On Aisle 5 from his debut album Behind This Guitar. Mo was shopping for Cheerios in a supermarket but found an old flame in aisle 5. She boomeranged into his arms but decamped. Luckily Mo's dog awaited him outside in his pick-up truck. Mo, now 25, had better luck in real life. He and singing spouse Emily of The Bankesters bluegrass band, were married in March, 2016, in her home town Carbondale and have a daughter Evelyne. “I can tell you, I don't deserve either my wife or this new baby, and I've experienced unconditional love like I've never before,” Pitney revealed. Love for family has made Pitney long to be at home more often, instead having long stretches on the road, but the trio is making it work. “Whenever we get to travel on the bus, they get to come,” added Pitney who has also recorded new material. CLICK HERE for a Mo feature in The Diary on November 21, 2016. The Texas Red Dirt Choir debut Behind Bars with Faith In The Water - a song recorded for the Rebuild Texas fund after 2017 Hurricane Harvey floods. A vast cast joined the choir for the song written by Kyle Hutton & Roger Creager to celebrate the survivors and victims. Artists including Josh Abbott, Jack Ingram, Pat Green, Wade Bowen, Ray Wylie Hubbard, Kevin Fowler, Kyle Park, Cody Johnson and Ray Benson joined Creager and Hutton for the historic session at the Bismeaux studio in Austin . They were augmented by a gospel choir from producer Clayton Horn's Austin church. 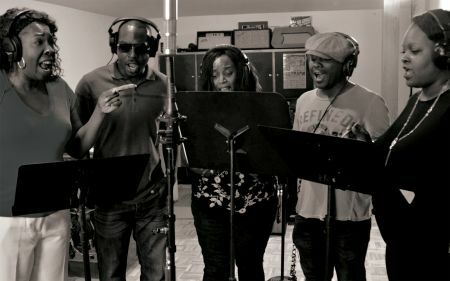 “We told Clayton, the producer, that we knew we wanted all of our friends to come in and sing a line in the song, and that we wanted everyone to sing along on the choruses,” Hutton revealed. The video depicts the story of a downtrodden woman trying to weather the storm. Strangers come to rescue by boat and truck to lend a helping hand without thinking twice. It captures much of the spirit seen in images of strangers helping each other in the midst of the hurricane. “For me the song started about five days after the storm, when the waters receded enough to get out,” Creager explained. 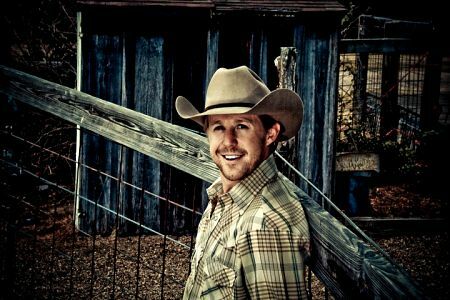 Texan Kyle Park performs his pathos primed paternal paean for his late oil field worker sire as he followed advice given to him on his death bed. Park, 32, recorded and filmed Don't Forget Where You Come From for his eighth album. Kyle was born in Austin and grew up north of the capitol in small town Leander. Park recently showcased his previous videos on Nu Country for What Goes Around , Comes Around, Turn That Crown Upside Down, Long Distance Relationship and George Strait tribute Fit For the King . Park often sang with Strait's Ace In The Hole band while in college in San Marcos . Kyle started playing guitar at 14, wrote his first song and performed live the next year and debuted on KVET FM Austin at 17. He self-released first album, Big Time , in 2005 second album Anywhere in Texas in 2008, third album Make or Break Me in 2011 and Beggin' for More in 2013. 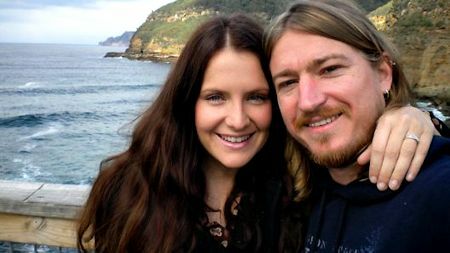 Grafton born Adam Eckersley and wife Brooke McClymont celebrated love in top gear in Train Wreck - one of eight songs they wrote for debut duet album Adam & Brooke, recorded in Byron Bay. They filmed their video due south in New England at Uralla near Armidale. Brooke and her sisters grew up in Grafton - also home-town of Adam and Troy Cassar-Daley. Adam and Brooke wrote For You and Wheels in Nashville for his previous CD - The Second Album. He toured Victoria as guitarist with The McClymonts before his band shared billing on their Here's To You & I album tour. That was after Adam, 31 and father of two, recuperated from spinal surgery - the six week hiatus was his longest period between shows since he started touring at 17. Adam's band toured the U.S. with The McClymonts in 2011 and performed here with The Mavericks , Californian surfing cowboy Gary Allan and Blackjack Billy . He and Brooke performed acoustic shows in June and July and promote their album on 2018 Highway Sky Shows in Sydney, Melbourne and Brisbane and regional dates. “The great thing about the acoustic shows is we get to tell lots of stories about the songs and we crack each other up when we're onstage.” Adam revealed. Queensland farrier and farmer Tony Cook visited Richmond and Julia Creek in far north Queensland to celebrate outback life in his new video. 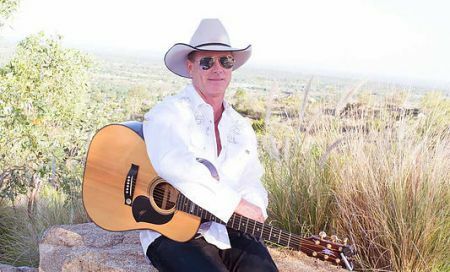 That's Country is on Laid Back Country - debut album by Tony who returned to singing after working on cattle and sheep stations before joining the Australian Defence Forces . It depicts life in the bush and articulates the culture that influenced him as a child and young adult working on cattle and sheep stations before enlisting in the ADF. The song was produced by Simon Johnson with harmonica from Brendan Radford. Cook's video, directed by The Filmery , takes viewers on a journey into the heart of the outback. Tony enlisted high profile roadies for his previous video for his album title track. He eulogised hometown Charters Towers with cameos by North Queensland Katter Party MPS Bob Katter and Shane Knuth as street cleaners and pub patrons. Laidback Country was released in mid-2017, seven years after debut EP Laidback Tones. During the hiatus Tony got married, started a family but never stopped writing songs. Tony fondly recalls characters that frequented his parents' hotel in Maxwelton , Queensland . He wants to write a book about them but puts his experiences and passion for the bush into his songs. When Tony isn't performing across North Queensland with artists diverse as Adam Brand, James Blundell, Travis Collins, Wendy Matthews and Russell Morris, he's a part-time farrier and works on his family farm. We need your support as we celebrate Nu Country TV's 34th series with Australian record companies and artists teaming to ensure our survival. We have Blake Shelton's 12th CD If I'm Honest from Karen Black and Tony Midolo at Warner Music. They include singing actor Tim McGraw, Brad Paisley , Carrie Underwood, Gary Allan, Dierks Bentley, Eric Church and late larrikin legend A.P. Johnson.